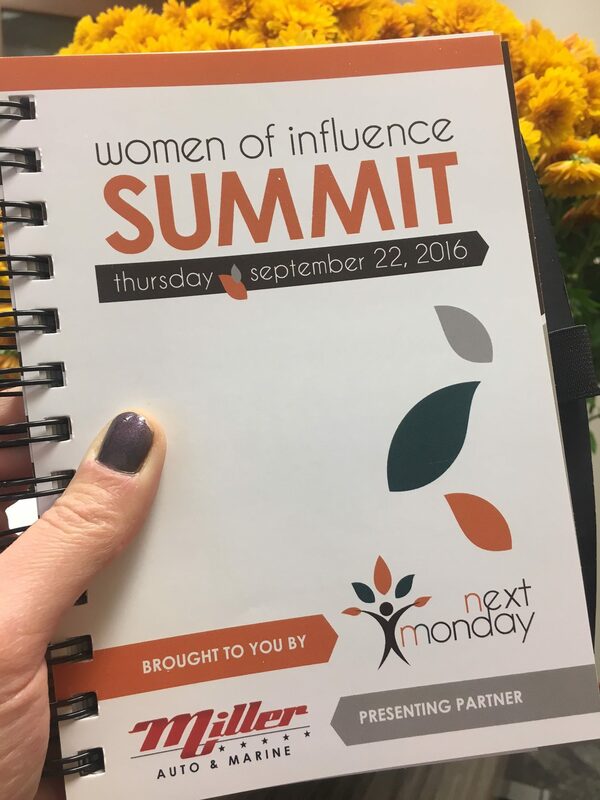 The Women of Influence Summit 2016 presented by Next Monday (the first of its kind) promised”to give your influence a name, to identify what makes your power special.” A movement, this conference intended to help you continue to carry on your influence to all those around you, each and every day. And it did not disappoint. 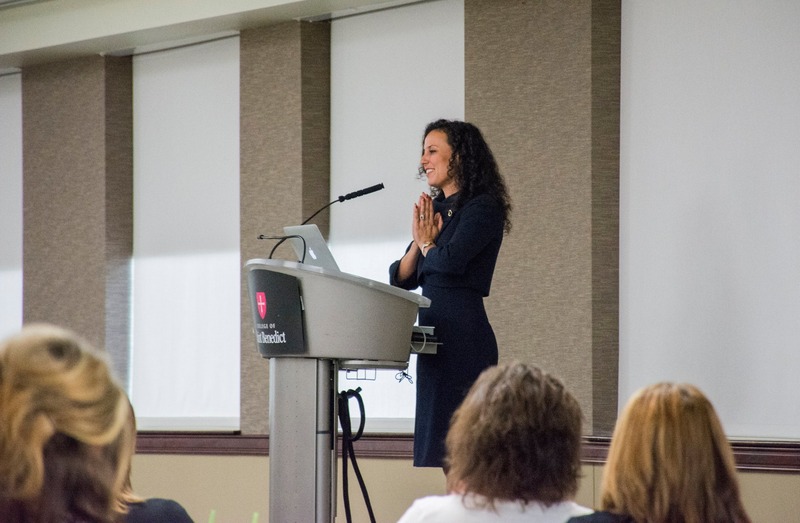 With over 300 women gathered together on a rainy day on the campus of the College of St. Benedict’s, the summit kicked off not with a bang, but with a swell. A swell that continued to grow and expand with every conversation – every connection – made throughout the day. But what began as a whisper left as a roar, thanks much in part to the amazing speakers and willing attendees present. There was so much to be gleaned from the influential minds in the room that day, but an overarching theme became more apparent with each speaker: Be true to yourself, stop apologizing for doing what you love, and follow your heart & passion wherever it leads you. 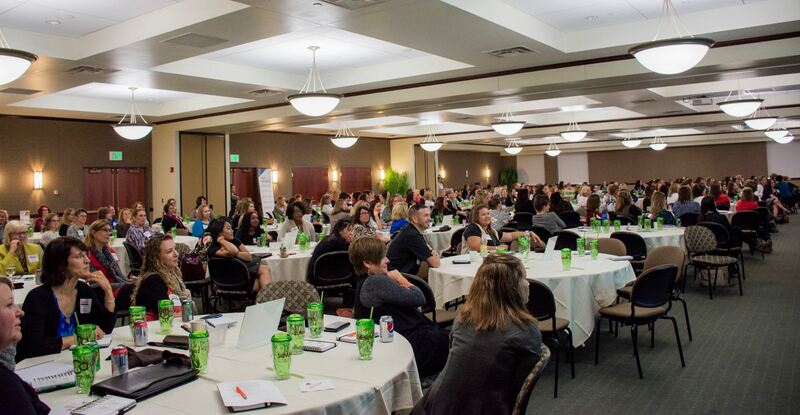 Several speakers hammered this point home, and while I didn’t get to experience them all, I can summarize here some of what I learned at the 2016 Women of Influence Summit. 1. Be aware that you are rare. If you have trouble defining your authentic self, or being able to communicate your values, think about what your mentor or best friend would say about you. What would they say is your greatest quality? That’s likely your #1 value you can own, emanate, and be proud of. Me? I discovered my intentional value is “Helpful.” And in every way I can, I’ve tried to keep that top-of-mind in what I’m doing. You know what? It’s pretty darn accurate. 2. Slow the &$%@ down. Jaci Finneman… where to even start with this woman. Her talk on being “Mrs. Over Do It” resonated with me to my core. Her struggles with not putting herself first, and her desire to be helping others at all times – even when it wasn’t needed or wanted – is something that so many women battle with every day. Why is it that we as women feel the need to exercise control, balance and perfection over everything? Where did this expectation come from, both internally and externally? Who knows, really, but the point is that it’s time to slow the &$%@ down and notice what the world is telling us. Watch for signs. Keep your ears and eyes open to those around you. Pick up on cues and hints. And know when it’s time for you to make a change for yourself. Know when to say “enough is enough,” and when to indulge yourself in your dreams and wants. Once you reach that point, tear up your to-do list, grab a glass of wine (or pint of ice cream or whatever your vice may be), and remember that it’s perfectly okay to put yourself first. 3. Stop making choices out of fear. 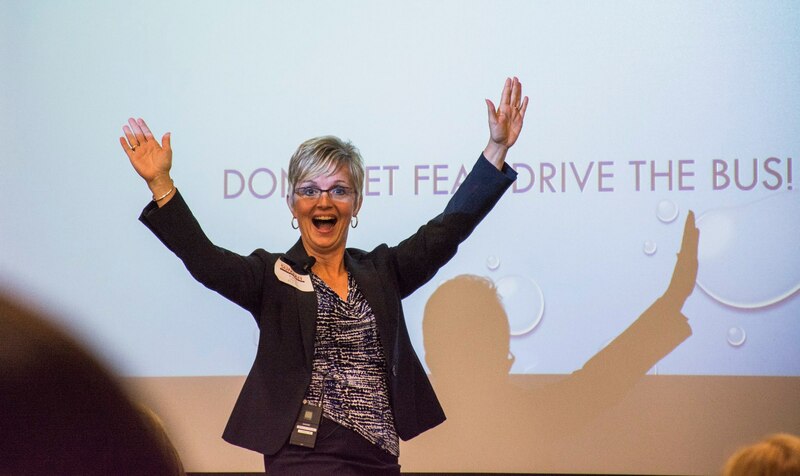 To paraphrase Katie Manar’s breakout session, we make 100’s of choices daily – how many are out of fear? Well, that answer may lie in this next question: When was a time you reacted less than your best? Chances are, when we react less than our best, it’s because we’re making a decision out of fear – fear on the surface level as well as fear that is hidden deep down in a place we may not even know about. When we let fear drive our decisions, we get stuck. We either avoid situations that we’re afraid of, or we react in a way we wouldn’t have under normal circumstances. If we remember to put love first – to think with our hearts and not with our fears – we will be able to portray our true selves better each day. Fear is a real thing – but we can change how it effects us by how we allow ourselves to react. A quote shared by Maria Surma Manka, who heard it first from her boss. What an important reminder, especially when we find ourselves caught up in the haste, the bustle and the craziness of everyday life. In Maria’s session, we talked about worry, and the fact that humans are built to worry. It’s natural. It’s common. It’s expected. It’s universal. So how can we best handle our worries to remain productive, positive and happy? By looking at our types of worry – practical versus hypothetical – we can determine how to best approach strategies for dealing with them. If we’re worrying about concrete, literal issues, deconstructing them into hard facts and absolutes helps. If we’re worrying about the future and all its vagueness, we should schedule time to let ourselves worry, but not go beyond that. And the best remedy for worry? Celebration. Celebrate the big things, yes, but celebrate the little things. Because in the end, life is pretty dang great, and we need to remember and appreciate that as much as possible. 5. Don’t give up on your dreams. The opening keynote spoke of extreme tragedy. As a young, vibrant, talented dancer, Nicole Marquez’s life nearly ended after a tragic accident that left her physically impaired. She was told she would never walk again, let alone dance. So what did she do? She got her mind in the game, she gave every ounce of focus, grit and determination she could muster, and eventually – she danced. Her story along with several others throughout the day spoke of the importance of the determination, grit, and heart that it takes to achieve your dreams. The key things to remember? Surround yourself with supportive people, and know that you have to choose to make the best of the situation – only you can truly find your strength. The closing keynote had many of the same messages as Nicole. Gaia Nova moved from Bulgaria to France at age 18, and now lives in Chicago and has founded her own company, Power Tower. Gaia’s story is also one of resilience and never being satisfied with less than her ultimate dreams. The most inspirational part of her speech was not in what she said, but how she said it. Mid-speech, it became clear that she was extremely nervous and having a hard time communicating to us. So what did she do? Took a step back, admitted that this was really hard for her, and confessed that she was facing her biggest fear by speaking to us. And what did we do, after a long day of inspiration, passion, and women empowerment? We cheered. We clapped. We shouted words of encouragement. We stood together for the remainder of her speech, providing a wall of support for Gaia. And she finished her inspirational story, faced her fear, and we all celebrated with her. Whew! Feeling like you can take on the world yet? Ready to kick some a$$? That’s how I felt after the Summit, and that’s how you, as a woman, should feel every single day. The hard work of Next Monday organizing this event and the amazing speakers (I wish I could have heard them all!) made the 2016 Women of Influence Summit a day to truly remember forever. So don’t ever forget: be true to yourself, put your needs first, don’t let fear rule your decisions, worry within reason, and never, ever give up on your dreams. So when Next Monday, a personal and professional leadership coaching group, set out to reach women, they knew there was no better topic than that of our influence. Our influence on other people, on the economy, on our surroundings, and most importantly, ourselves. Prizes!Okay so let’s be honest with ourselves for a second ladies: it feels good to win stuff. Admit it! You love the potential to get prizes. And let me tell you, the giveaways at the Women of Influence Summit will be WELL worth your time. Remember, they have ladies in mind. So be prepared to be wow’d and you just might win! Learn about your own influence. Like I said before, you as a woman have a whole lot of influence on your surroundings and on yourself. 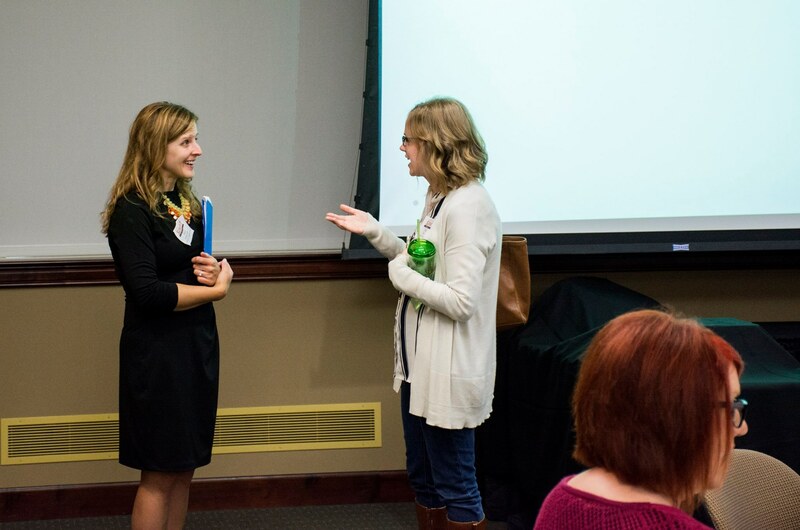 Attend the summit to learn more about how to harness that influence, whether through learning to handle stress, how to connect with others in a meaningful way, or by learning when (and how) to say no. Rub elbows with other amazing women. If you’re lucky, you might already have some great connections with remarkable, influential women in your life. I know for me, I have a few family members and friends who I am honored to say that i know, and who have taught me so much about my own influence already. 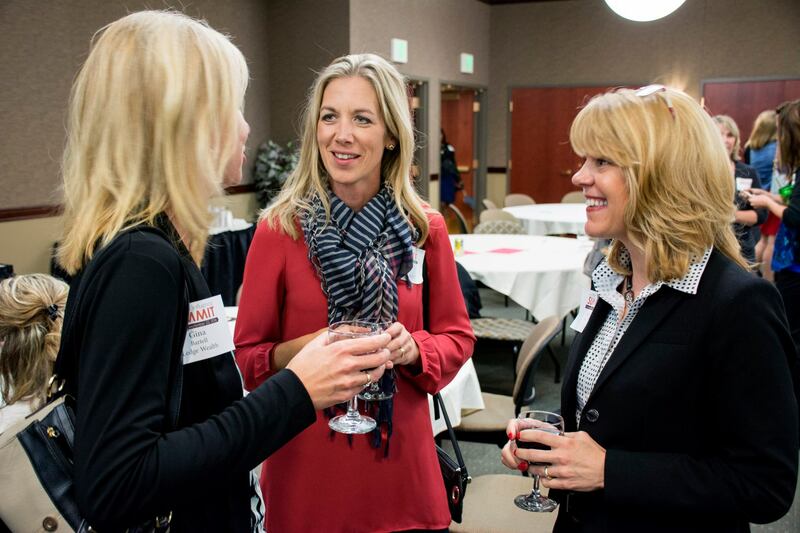 If you attend the summit, you will have the chance to grow your own network of amazing women and make lifelong connections. That alone is priceless! Socialize with like-minded people! As I was chatting with Kelly from Next Monday, she said “Women don’t have a golf.” At first confused, she explained how many connections she sees (and that I now see) that men are able to form on the golf course. Friendships, business deals, and fun all blossom from the game that unfortunately women are not often a part of. So think of this summit as the women’s equivalent to golf. Get social, connect professionally, and have some dang fun while doing it! Treat yo’self. As I asked you in the beginning, when was the last time you really did something for yourself? 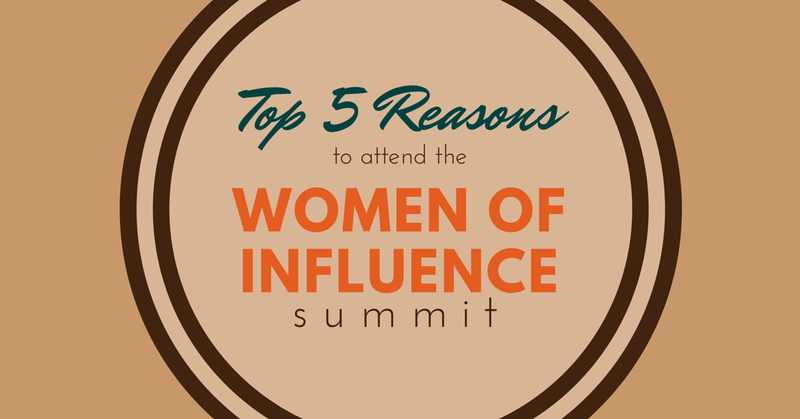 The Women of Influence Summit gives you the chance to not only have a fun day with other ladies, but to really learn how to treat yourself more in the future as well. You deserve a break sometimes. Everyone gets stressed out sometimes. We all have trouble connecting with others sometimes. The summit is here to tell you that it’s okay, and to give you tip to help you in the future. We, as women, deserve to take a break here and there, and sometimes we need to be reminded how special we really are. 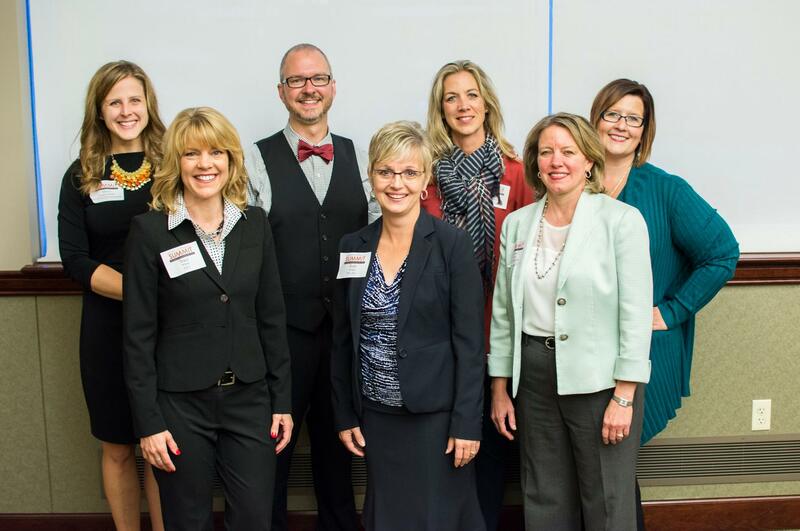 The 2016 Women of Influence Summit is taking place at the Gorecki Center at the College of St. Benedict’s in St. Joseph, MN Thursday, September 22, 2016. General admission tickets and VIP tickets are available for purchase. For more information about the schedule, speakers, topics, and sponsors or to purchase tickets, click here.